SCE public releases from February and March that validate their appropriate responses to this issue. Faulty computer modeling that inadequately predicted conditions in steam generators at the San Onofre Nuclear Generating Station and manufacturing issues contributed to excessive wear of the components, U.S. Nuclear Regulatory Commission inspectors have concluded. Unit 3 at the plant near San Clemente, Calif., operated for about one year following replacement of its steam generators when control room operators received alarms Jan. 31 that indicated reactor coolant was leaking into a steam generator. The leak was unexpected and Southern California Edison Co. operators responded appropriately by shutting down the reactor. Plant safety systems functioned as designed in the shutdown. The team also determined that Southern California Edison provided the NRC with all the information required under existing regulations about proposed design changes to its steam generators prior to replacing them in 2010 and 2011. Further review of the adequacy of the plant’s post trip/transient procedure. Adequacy of Mitsubishi Heavy Industries’ computer simulation modeling. 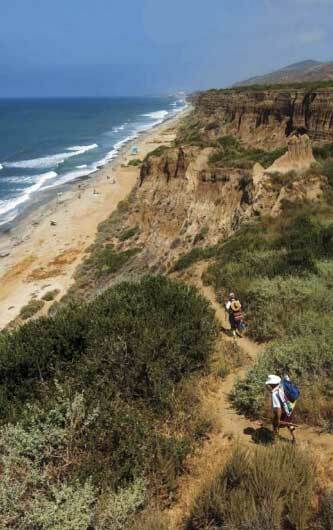 A view of San Onofre State Beach, neighboring the nuclear plant. Hello there. I just searched online about to find some new jobs rein Texas. And i became aware of your blog through Google, and found that it is truly informative for myself. I am gonna find some fore info, but i think i made my decision allready. Numerous people will beryllium benefited from your writing. Cheers from Marc!